There’s a lot of uncertainty as we head into 2019. The Fed is expected to raise rates another three or four times. We’ve got a slowing housing market thanks to rising rates, rising inventory, and lower overall affordability. We also have constant geopolitical risk that never seems to go away. As investors, we must properly forecast the future AND put our money where our forecasts are. To just forecast while taking no risk is like wanting to go straight to the corner office without putting in any work – it makes no sense! I’m guessing one of the reasons why you enjoy reading Financial Samurai is that I’m not just pontificating about investing. I’m actively trying to build my net worth to live a middle class lifestyle in an expensive city. Sometimes I strike out. Sometimes I hit a home run. Hopefully, through self-reflection and through community feedback, we can make better investment decisions. To get savvier, let’s look at what some of the top Wall Street strategists are forecasting for the S&P 500 in 2019. These folks spend 50 – 70 hours a week thinking about the stock market, writing research, and speaking to the largest money managers in the world. Surely, they know more than the average retail investors. There are just a couple caveats. One, they aren’t putting their own money at risk or managing money for others. Two, they love to hedge their forecasts because that’s how they earn Managing Director-level compensation which starts at $400,000 a year in base salary and they regularly receive $500,000 – $3,000,000 year-end bonuses, especially if they can get their forecasts right. Before we look at Wall Street’s 2019 forecasts, let’s first look at their 2018 S&P 500 price target forecasts. As of November 29, 2019, we’re at 2,743 on the S&P 500 after Fed Chair Powell gave a more measured speech about his interest rate hike plans. Therefore, we know that unless we have a miracle rally towards year-end, the folks at UBS (3,150 target) and Canaccord (3,200 and never heard of them) are not getting paid. Conversely, the folks at Morgan Stanley, Goldman Sachs, Citigroup, Wells Fargo, BNY Mellon, and RBC Capital look pretty spot on. These forecasts are updated as of this post as well. Let’s now look at 2019 forecasts and see what some of the bigger hitters have to say. Michael has gotten 2018 right so far with a 2018 S&P 500 target of 2,750 – or no change versus 2017. Given Michael has the closest forecast amongst his peers, he deserves the most amount of attention. Wilson is on record as saying that “we are in a rolling bear market.” As a result, he forecasts no change again in the S&P 500 for 2019. Two years of dead money folks! Suddenly, earning 2% – 2.5% on a 12-month CD or 12-month Treasury sounds quite appealing. Besides my public REITs and private real estate crowdfunding investments, my next best performing asset in 4Q2018 is my money market account. Despite having a 2,750 S&P 500 price target for 2019, he does have a bull and bear case of 3,000 and 2,400, respectively. Bank of America Merrill Lynch chief U.S. equity strategist Savita Subramanian believes the S&P 500 will climb to 3,000 in 2018 and then drop by 2,900. I’m sure most of us would love for the S&P 500 to rally to 3,000 in such a short time period. However, if we were Las Vegas oddsmakers, we’d probably have to give 2:1 odds for anybody to take that type of bet. That’s almost a 10% rally required by year-end. If Savita’s 2019 forecasts come true, then despite a drop, 2,900 is still 2019 a 6% return from current levels. Her 2019 concerns include trade, geopolitics, a widening federal deficit, increased Federal Reserve tightening, increased volatility, and a peak in homebuilders in late 2017, which tends to lead equities by about two years. This two year lag is the most interesting datapoint from her research note. I commend Savita’s steadfast bullishness for 2018, followed by a let down in 2019. Unfortunately, it seems like Savita won’t be getting a nice year-end bonus because 3,000 by year-end is unlikely to happen. David has what I think is the most realistic target for 2018 (2,850), followed by a reasonable 5.3% return in 2019 based on a 3,000 target. “A higher U.S. equity market, a lower recommended allocation to stocks and a shift to higher quality companies summarizes our forecast for 2019,” Kostin said. He characterized “high quality” stocks as those carrying strong balance sheets, stable sales growth, low EBIT deviation, high return on equity and low drawdown experience. In other words, large-cap dividend aristocrat stocks are at the top of his list. David won’t get as much TV time as Savita from BoA due to her bullishness or Michael, his arch nemesis from Morgan Stanley due to his bearishness. However, by not sticking his neck out there, David will likely get paid handsomely once again this year and next year. David realizes that the key to great personal wealth is surviving as long as possible on Wall Street. Here is how David Kostin hedges his forecast for 2019 and keeps himself paid. Base case: predicts with a 50% probability the S&P 500 rises 5% to 3,000 from 2,850 at the end of 2018. A 50% probability is like rating a stock a market perform or neutral. So weak! Bear case: predicts with a 30% probability the S&P 500 falling to 2,500 at the end of 2019 on fears of a likely recession in 2020. Bull case: predicts with a 20% probability the S&P 500 closes 2019 at 3,400. I like Citigroup because they’re been my main bank for 20 years. Tobias’ model is saying that there is a “near 90% probability that the S&P 500 is higher in a year’s time.” Those odds make me want to go all-in, but I won’t. Tobias believes companies have sufficiently guided 2019 earnings low enough that they can be more easily met or beaten. He also believes investor expectations have been reset low enough as well for there to be positive surprises on the upside. With a 2018 S&P 500 price target of 2,800, Tobias has been on target so far. But going from 2,800 to 3,100 in 2019 requires a 10.7% return, which doesn’t seem likely. But at least his forecast gives us hope, and for that, Tobias will get a nice year-end bonus. All Tobias has to do is downgrade his S&P 500 price target for 2019 after he gets paid his 2018 bonus in spring. Jonathan Golub is looking for P/E multiple expansion in 2019, despite EPS growth decelerating to 7.7% in 2019. I truly wonder whether legalizing marijuana in so many states is a good thing. We should make a law that financial strategists must take a sobriety test before writing any research forecasts. First, it’s unlikely the S&P 500 will hit Jonathan’s 2018 target of 3,000. Meanwhile, he highlights that the fading tax impacts and the threat of a yield curve inversion pose risk to earnings growth in 2019. Therefore, with so many headwinds, I don’t understand how Jonathan can assume a forward P/E multiple expansion. Despite the aggressiveness of his S&P 500 price target for 2019, I commend Jonathan for sticking his neck out. He’ll get a lot more attention from the press and from clients. Further, if the S&P 500 does come close to 3,350, he’s going to look like a hero and get paid a fat bonus that will more than makes up for a bad 2018 bonus. Here is a handy dandy chart I compiled of the major Wall Street analyst forecasts for your review. 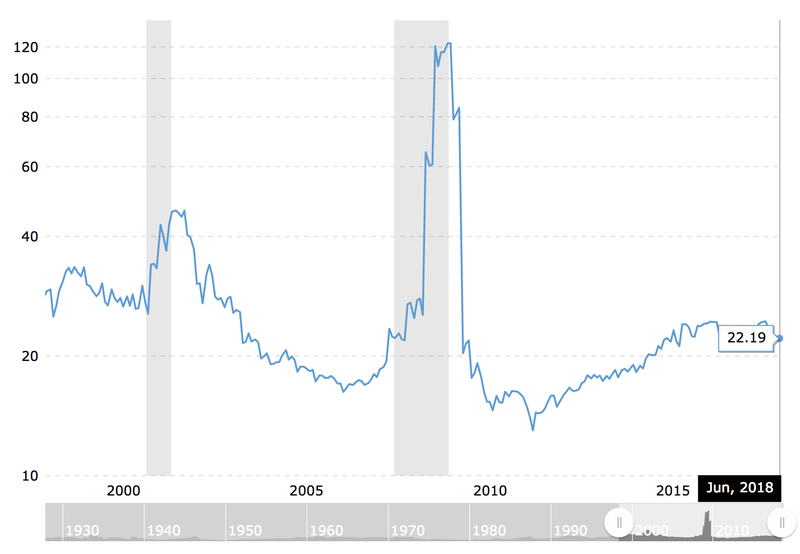 Now let’s look at historical valuations. 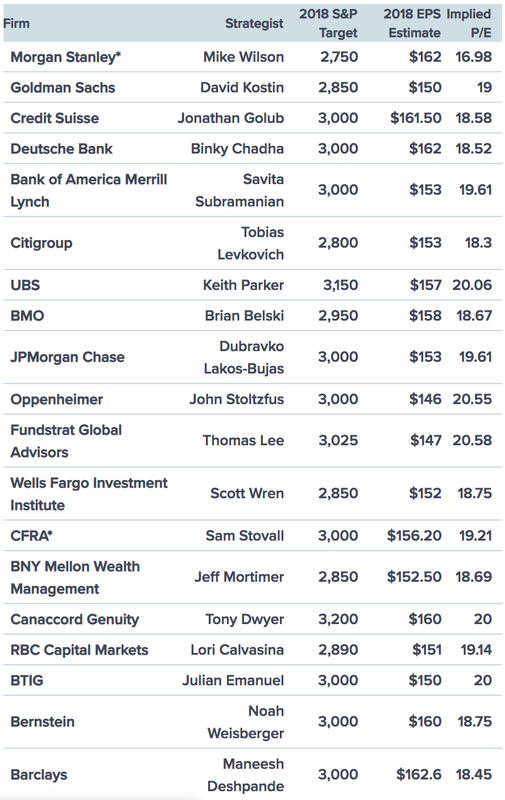 Now that we know what some of the best strategist’s S&P 500 price targets for 2019 are, let’s get a little educated about how based on historical P/E valuations for the S&P 500, they determine such targets. We must look at historical current (this year) and forward (next year) P/E valuation multiples. Remember, the value of a stock depends on its earnings, its projections, and valuations at the end of the day. As you can see from the chart below, current P/E multiples have been creeping higher since 2011, but they are nowhere near as egregious as the P/E multiples achieved in 2001 (48X) and 2007 (120X). At somewhere around 20-21X current P/E, current valuations are somewhere in the middle of the past 20 years. We’ve thus seen a great compression in forward P/E multiples – down from ~22X at the beginning of 1Q2018 to now ~17X at the end of 2018. A 23% decline in valuations is quite significant. Meanwhile, FactSet puts current forward 12-month P/E ratio for the S&P 500 at closer to 16X after the big rally on Nov 28, below the 5-year average of 16.4X, but above the 10-year average of 14.5X. As you can see, consensus forecasts are somewhat all over the place. The point is that the current and forward P/E multiples have come way down. This large decline in earnings expectations goes back to what Tobias from Citigroup says about 2019 being the year of “meet or beat.” The more companies can beat earnings expectations, the higher their stock prices will go. 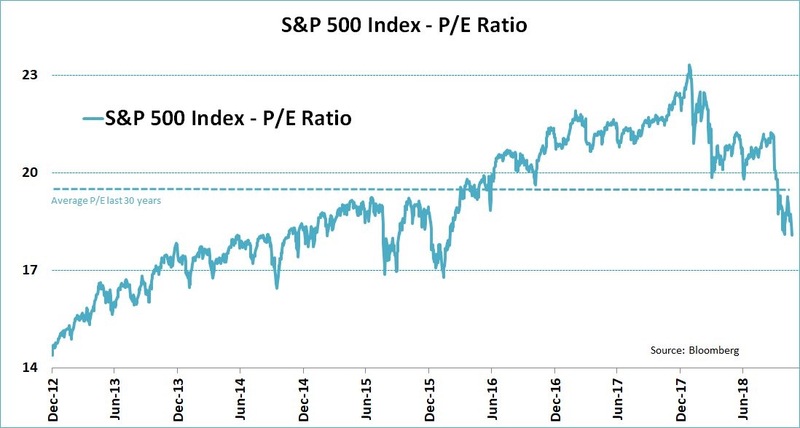 Based on historical current and forward P/E multiples, it doesn’t seem like a price target of 3,000 – 3,100 for the S&P 500 in 2019 is unreasonable. Consensus forward earnings for the S&P 500 is ~$173, which means a 17.34X – 17.9X multiple. However, if earnings are only growing by ~8% in 2019 as strategists are forecasting, the multiples seem elevated. Jonathan Golub’s S&P 500 price target of 3,350 based on 19.25X forward earnings could come true since we were just at 21X-22X forward earnings. 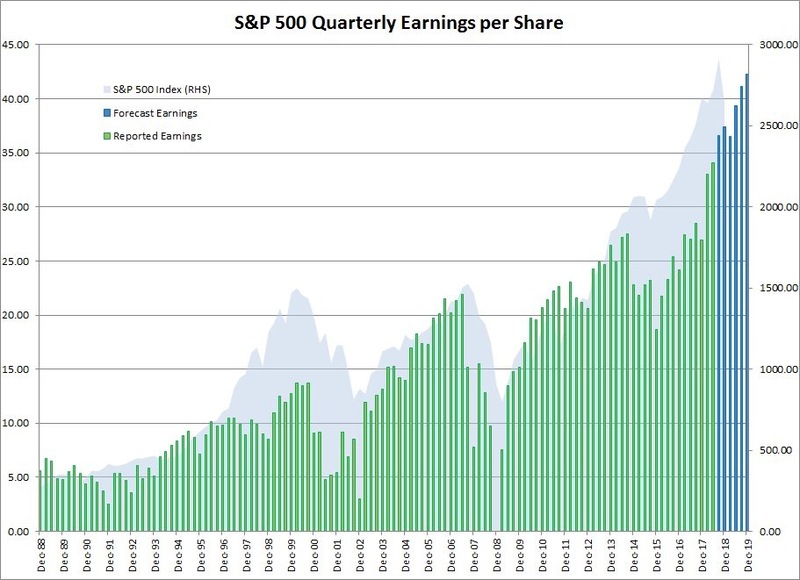 But I don’t think any reasonable investor would pay 19.25X forward earnings when earnings are expected to decelerate and only grow by half the multiple rate. Besides, by the middle of 2019 investors will start looking at 2020 earnings to make their investment decisions. I’m hopeful the market sees rising interest rates in 2019 as a bullish sign the economy is still growing strong. Yes, rising interest rates negatively hurt affordability and slow down investment growth as investors decide whether or not to park their assets in cash. But based on historical rates, a 2.5% – 3% Fed Funds target is still low. It’s interesting to note that none of the major firms forecast a decline in the S&P 500 in 2019. I guess the good times will continue to roll! But I’m not holding my breath and would rather be working on building my net worth primarily through my business and partially through various private real estate investments than through equities. 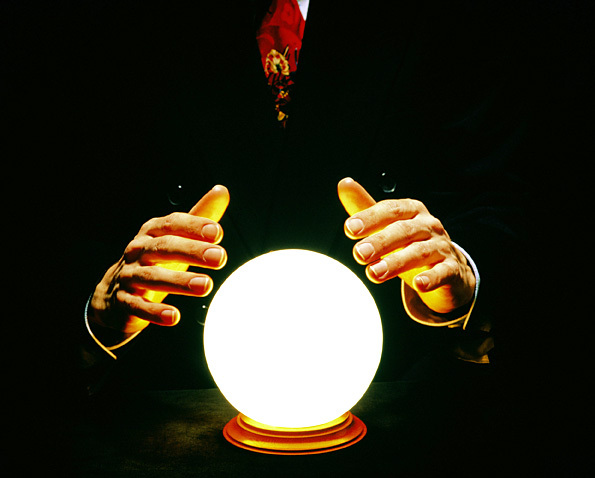 Oh, and in case you’re wondering, my crystal ball says the S&P 500 finishes the year at 2,838. I expect Xi and Trump to agree to a trade war deescalation roadmap. I also expect a feel good rally into the new year as consumers spend like there’s no tomorrow this holiday season. Readers, where do you think the S&P 500 finishes for 2018 and 2019? What do you think is a fair current and forward P/E multiple for the S&P 500? The post 2019 S&P 500 Price Targets By Wall Street Strategists Are Mostly Bullish appeared first on Financial Samurai.